Pinterest announced that Instapaper Premium is now available to all users for free. Pinterest announced that Instapaper Premium is now available to all users for free. 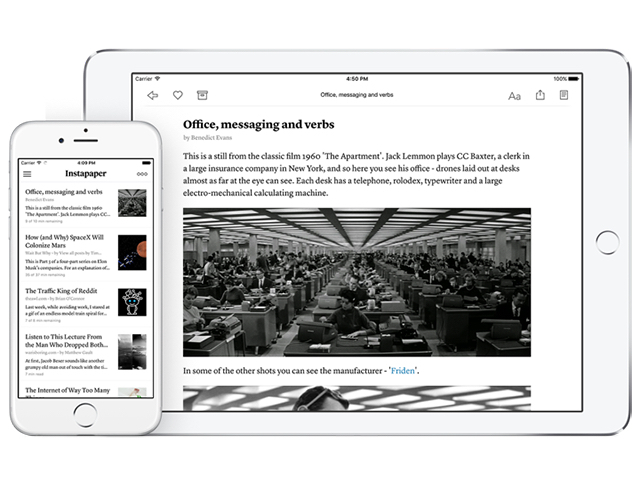 The Instapaper application allows users to save web content to read later on, even when they’re offline. Pinterest acquired Instapaper in August. Instapaper is available to download for free on the iTunes App Store and Google Play. Readers: Do you use Instapaper?